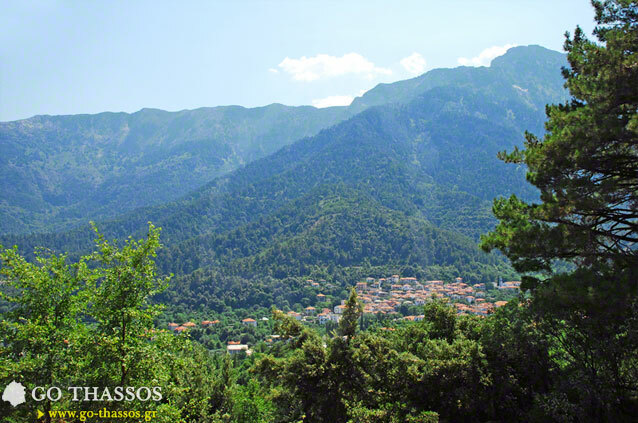 The village of Potamia is nestled in the foothills of the highest and most majestic mountain on the island of Thassos: Ipsarion (1,204 m.). The village got its name from the abundance of water that comes down from the mountain, especially during Winter and Spring. 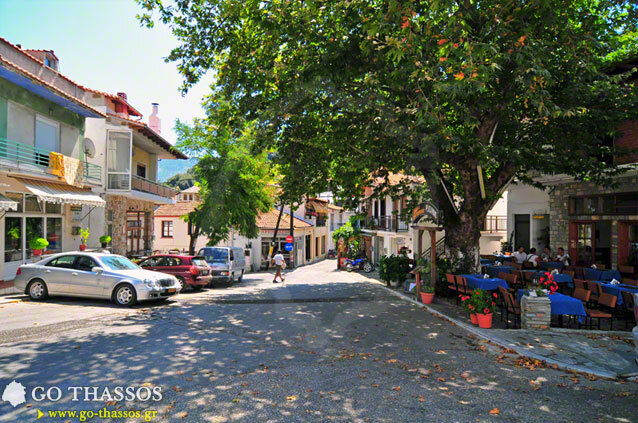 This northern part of the island of Thassos receives more than twice the rain fall compared to southern parts of the island. The small rivers and streams formed by the surplus of groundwater gave the name to the village Potamia, "rivers". The people who live here are very warm and friendly, and they have extraordinary passion for their village and for the surrounding natural environment. 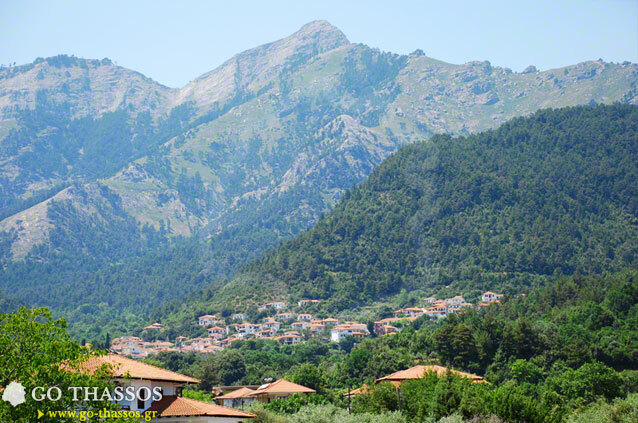 The 1200 inhabitants, in addition to stunning views of the mountain which provide a natural shelter for the village, live in a fabulous environment of naturally lush vegetation. The physical environment is shaped by many springs and gurgling crystal clear waters. This creates small streams between the numerous mountain trails which are eminently suitable and very well organised for climbing and hiking. 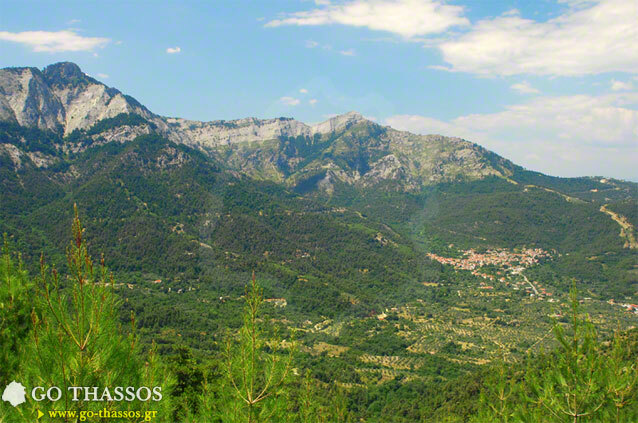 There is a magnificent view from all parts of the village notwithstanding the fact that the village itself is actually built into the wooded areas of the lower slopes of the mountain. 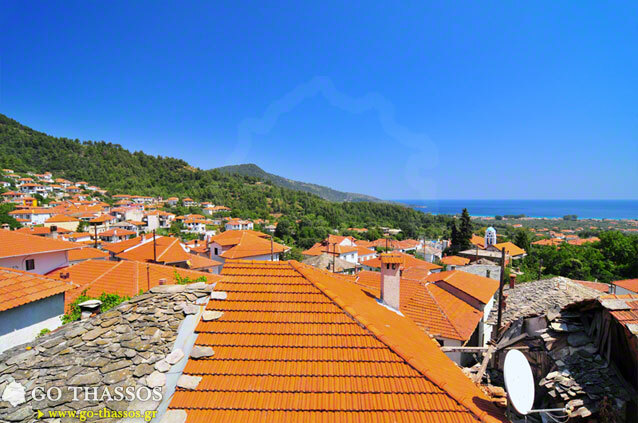 Only 3 km to the east of the village, there is the seaside resort of Skala Potamia, with its fabulous Golden Coast Beach, which attracts many visitors every summer time. Today, many of the residents work in the tourism trade, developing the unique skills that interaction with tourists requires, meaning that there is greater wealth coming into the village than in former years, but this does not mean that they have forgotten their traditional trades and skills, such as fishing, cultivating olive trees, farming and tending to their land and animals generally. 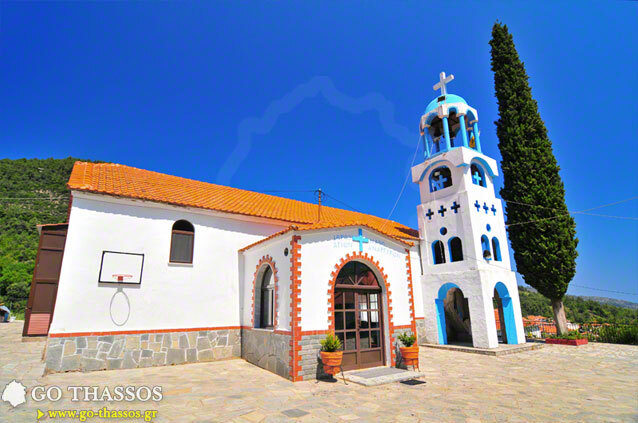 It is worth visiting the church of St. Demetrius here. It was built in 1845. 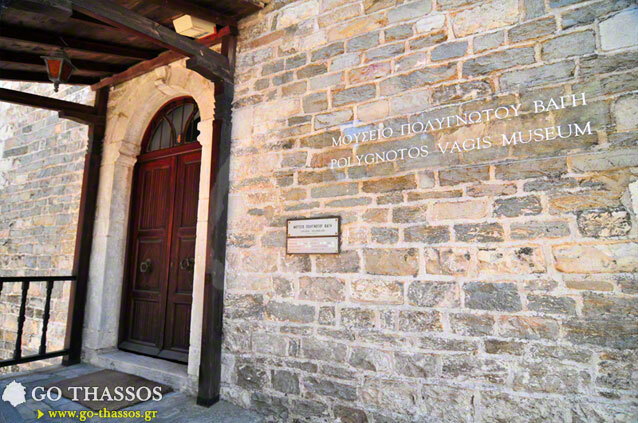 One of the most famous people to be born in the village is the renowned sculptor Polygnotos Vagis, who emigrated and achieved great fame in America and subsequently bequeathed a large part of his work to the village. 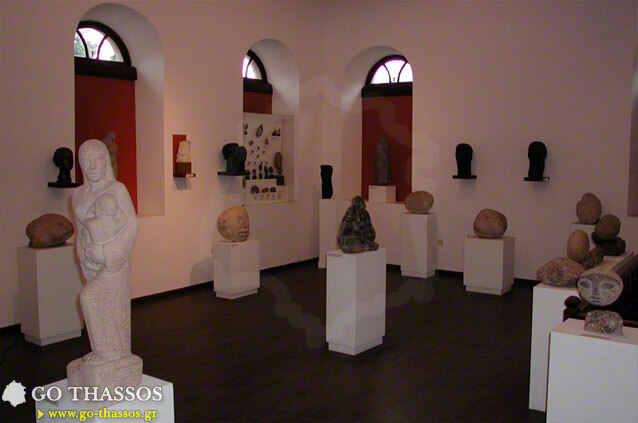 His work is displayed in the Polygnotos Vagis Museum so as to be shared with the local community as well as the wider audience of visiting tourists, and is open to be seen by all. He died in America in New York on the 11th of March 1965, without ever having changed his Greek citizenship. The community of Potamia also includes the picturesque little island opposite, the island known as 'Krambousa', a type of wild cabbage which grows vigorously there. 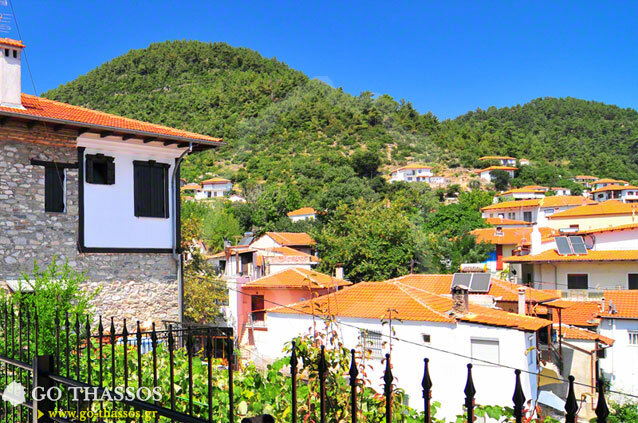 It is worth mentioning a little known jewel of this region of the island, the chapel of Blessed Daniel who was born in Thassos during the reign of Leo the Armenian 813-820 A.D. The Blessed Daniel was followed by a group of ascetics who settled here. Access to the site of this chapel on the island is only from the north side since every other area is too steep and rugged to be easily climbed. It is impossible to explore much of the island as it is overrun by this wild cabbage. The locals visit this tiny island in their boats each year to honour the memory of this blessed man. The inhabitants of Potamia are still characterised by their unique accent, their outspokenness, and the jokes that they make against each other constantly, so that one feels inclined to laugh along with them and forgive them if they say something harsh. It would seem that this might be a natural consequence of the importance of the Carnival in this village, which is prepared for many months and weeks in advance. Lasting for many days, Carnival is the highlight of the village life, climaxing on the Sunday before Clean Monday, the day before Lent begins. Do not miss a visit to this splendid village. 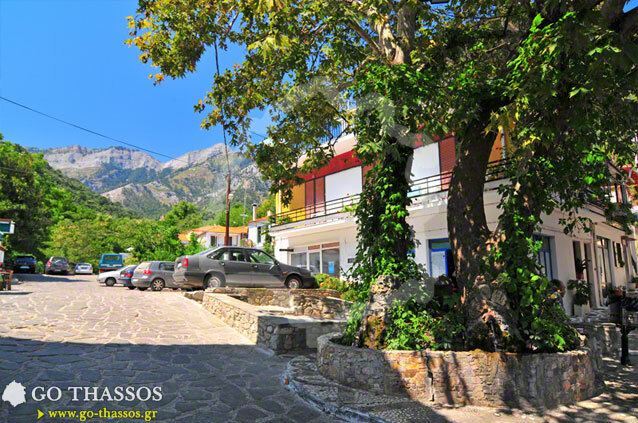 If you are willing, you would have the opportunity to get to know some of the local people, who would welcome you with the typical hospitality of everybody in the village, and offer to share with you the local tsipouro, which is similar to ouzo but more potent to say the least, made from grapes that they will have grown themselves, and distilled in the village distilleries. Over a glass or two of this strong alcoholic drink and some delicious “mezes”, small snacks usually consisted of delicious meats, fish, cheeses, or vegetables, they will share with you some of the strange and unique stories which have evolved over the years and which will give some element of insight and understanding into who these people are.